Why Service Your Car at Our Dealership vs. Third Party? There are plenty of places you can go to get Honda service near Lakewood, but if you want a higher level of service and parts, count on the experts at the Honda of Toms River service center. Find out what sets our professional service center apart, and then make your way from Manchester to see us in Toms River today! 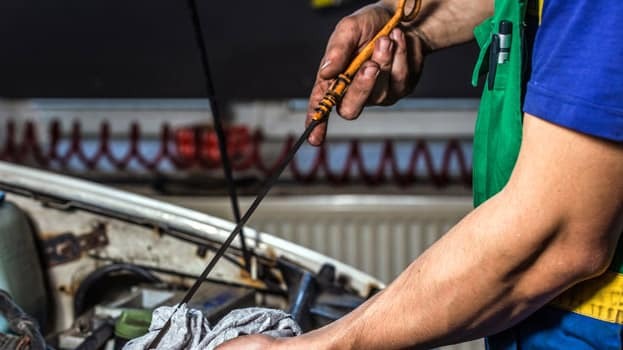 What’s So Important About Regular Vehicle Maintenance? Why Should I Get My Vehicle Serviced at Honda of Toms River? Highly-Rated Certified Technicians – At Honda of Toms River, we’ve hired a full team of factory-trained and certified Honda technicians to handle everything from regular maintenance to major repairs, as well as certified service and parts personnel. On top of that, we’ve received an A+ rating from the BBB! Authentic OEM Honda Parts – Instead of taking your car to a third party shop, come here to get your vehicle fitted with authentic Honda OEM parts. When comparing OEM parts vs. aftermarket parts, remember that only OEM parts were developed and approved by the manufacturer for your specific make and model. Make sure to check out our current parts specials as well. Quality Service – Enjoy access to the Honda Care maintenance program, as well as a rotating selection of current service specials. Plus, every service comes with a complimentary multi-point inspection and car wash! Unbeatable Convenience – At our dealership, you’ll be able to take advantage of a number of additional services, including 24/7 drop offs, vehicle pickup and delivery, loaner vehicles, and a comfortable waiting area with free coffee, snacks, and Wi-Fi. The service department at Honda of Toms River is open Monday through Friday from 7:30 a.m. to 7:00 p.m. and Saturday until 5:00 p.m. You can schedule your service online anytime or contact our service team at (833) 532-8890. We’re located just 25 minutes east of Manchester at 346 New Jersey Route 37 East in Toms River, NJ, so stop in and see us today for first-rate service!